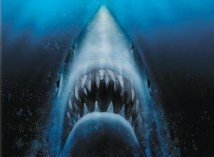 Many other shows have already had their reveals, and today I want to talk about them, particularly in relation to the damage they did to our collective jaws. Some of these reveals are classic television moments that will be spoken of in reverent tones for generations. Others are referred to with the kind of derision reserved for Fonzie water-skiing over a shark, performing a kind of a jump. I'm only going to address one per show, so don't worry if I miss one, I'll get it next time. 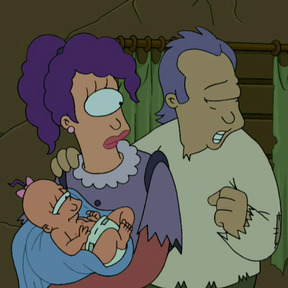 All this time we thought Leela was an alien. The Big Reveal that she was really a mutant was surprising, but not out-of-the-blue. We'd seen plenty of mutants before on the series, so there was foreshadowing, and some viewers may have suspected. Perhaps to throw us off the trail, we had a red herring episode in which she meets a one-eyed alien who claims that he's from her long-lost civilization. He wasn't. Overall, it's a great reveal, and as I mentioned last week, a great episode. The alien with a mysterious past is a common trope, and unlike Leela, Odo actually was an alien. In this case, Odo was a shapeshifter who had no idea who his people were or where they were from. Until, however, he learned of the Dominion and their mysterious leaders, the Founders, who also happen to be shapeshifters. 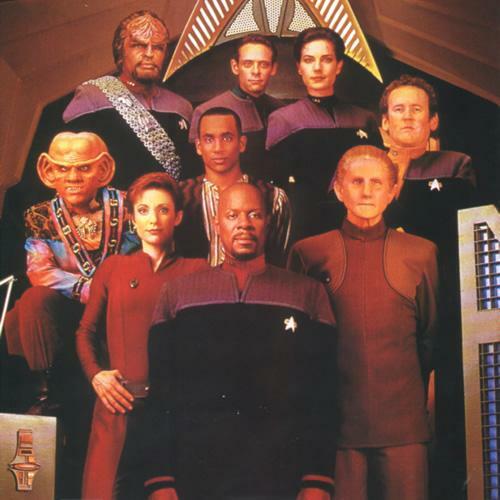 It was surprising, but not at all unheard of, for Odo's people to actually be the primary villains of the series. It's a common trope, actually, a main character with divided loyalties. Still, I always thought it was a satisfying explanation to the question of where Odo came from, and it played perfectly into DS9's overall narrative arc. Big Reveal: What happened to Temperance Brennan's Parents? If there's one thing procedurals love, it's a character searching for answers about what happened to his or her parents. (See also Crossing Jordan and Castle.) 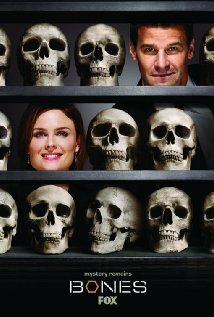 In this case, Temperance Brennan (sometimes called "Bones") suffered a tragic loss when her parents suddenly disappeared when she was a teen; she never knew what had happened to them. Brennan became one of the finest forensic anthropologists in the world and worked at the Jeffersonian (the fictional version of the Smithsonian.) At the end of the first season, she finds her mother: she's been an unknown skeleton in the Jeffersonian the whole time. It gets better. Her father, still alive, altered his appearance to look like Ryan O'Neal, because really, who wouldn't. (Being Ryan O'Neal means never having to say you're sorry.) They were bank robbers who stole evidence proving high-level corruption in the FBI. They changed their identities and hid out, until one sad day they had to flee and leave their children to protect them. Long story short, bad people killed her mom, her dad killed those bad people and beat the rap, and now her dad is back in her life. Big Reveal: Who killed Monk's wife? Speaking of stringing us along, Monk ran for eight seasons, and only answered the Big Question in the series finale. Granted, the show wasn't built on the premise of solving Trudy Monk's murder, rather on how quirky Adrian Monk is able to solve crimes and win Emmys. Every once in a blue moon, we'd get a tantalizing little bit of information about what happened to Monk's wife, who was killed by a car bomb. For a while, Monk believed that the bomb was meant for him, but as it turns out, his wife was the target. And who was the perpetrator? Craig T. Nelson. The problem with this reveal is that we'd never met his character before the final episode. In fact, as soon as I saw him listed as a guest star, and knowing the final episode was about finding the killer, it was no surprise. That's why it wasn't as satisfying a reveal as it could have been. We had no emotional attachment to Nelson. (Okay, if you love The Incredibles, or perhaps Coach, then you're like 'Hey look, it's Craig T. Nelson!) We weren't utterly shocked that he's the one behind the murder because there's been no groundwork. His character hasn't earned the reveal. Granted, it was a bit of a surprise to finally find out why she was killed. Years before she met Adrian, Trudy had an affair with a married man, Judge Ethan Rickover (Nelson) and she'd gotten pregnant. He killed her to keep their secret hidden. Related to that reveal is the fact that Trudy's daughter, now in her twenties, is still out there, and Monk gets to know her, and thus connect a tiny bit with his wife once more. Still, a better reveal would be for one of the main cast members to be responsible. It would be a fantastic twist ending for the series. Sadly, they either didn't think that far ahead, or just didn't have the guts to go that direction. 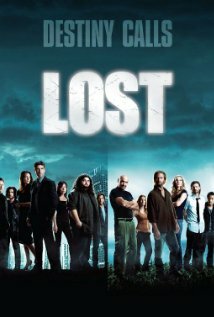 I've said before why Lost is why similar shows don't succeed, but while we still are miffed at how it ended with a whimper and a question mark, credit where credit is due. The third season finale is the best jaw dropping moment on the show and one of the best in all of television. All our jaws were sore as we rubbed them in stunned amazement and couldn't wait for the start of the next season. For three years, we've watched these people try to survive on this mysterious island, all while watching flashbacks of their lives. In the season finale, we see Jack like we've never seen him before, depressed, moody, self-destructive, and rocking a ZZ Top beard. We're wondering what dark time in his life we're seeing, when at the very end of the episode, he meets up with the last person we expect. Kate, someone from the island. Turns out, it isn't a flashback, it's a flashforward. They got off the island, but that's only half the shocker. The other half is what he tells Kate: they have to go back. This episode was a game changer for the series, a huge shock, and a reveal I didn't see coming. This episode guaranteed that I'd watch the show to the bitter end, as I was hoping for something even better in the final episodes. Sadly this reveal was the high point of the series, but what a reveal. Jaw Damage: grinding your teeth counts, right? Yes, I watched Smallville. It wasn't because it was a great show, but it always had potential and occasionally reached it. Most of the time it was wonderfully mediocre, but at its worst, it was downright disappointing. And infuriating. And really, really, stupid. Yes our jaws dropped, only at how far this series had fallen. We couldn't believe they'd do that. Of course, given this show's track record, it shouldn't surprise us just how disappointing all the Big Reveals and Big Moments were. Again, not unfamiliar ground for me. This was definitely an out-of-the-blue reveal, which is already frustrating. Add to it some retcon (retroactive continuity) and we've got ourselves a moment from an episode Smallville fans will still tell you, hands down, is one of the worst episodes of the series. The characters had been pals with Jimmy Olson for several years. Chloe was all set to marry him. Suddenly they kill Jimmy, which is odd considering that Jimmy is part of the Lois and Clark Daily Planet team. Turns out, this was "James" Olson, and his little brother is the real Jimmy. 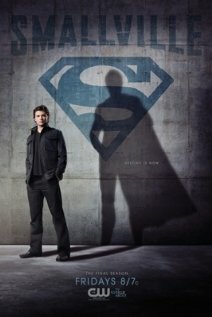 The reasoning, according to show-runners, was that they didn't want Jimmy to be the same age as Lois and Clark, and so they wrote him out and retconned in a little brother. Isn't that nice? Sad thing is, I watched this series for two more seasons. Big Reveal: Who killed Lily Kane? In many ways, the first season of Veronica Mars was the Twin Peaks of its day. The first of the new genre of High School noir, this show began with a mystery: who really killed Veronica's best friend Lily? The twists and turns were captivating, and the show did the honorable thing by revealing the answer in the final episode of the first season: It was the movie star, played by Harry Hamlin. Unlike in Monk, this was a character we knew of all too well. He was a rich star past his prime who, when not abusing his son, was definitely not being a devoted husband. His son was dating Lily at the time, and he decided to completely violate the bro code by getting into bed with her. The reveal was shocking, and at the same time obvious in retrospect. The show would continue to run with long mystery arcs for two more seasons, a trend that more shows should adopt. I appreciate a show committing to just one season rather than stretch it out until they get canceled. Had Veronica Mars only lasted a season, it would still have been a satisfying show. Fortunately, we got two more out of it, and while the subsequent mysteries weren't as engrossing as the Lily Kane murder, they were well worth watching. Big Reveal: Who is River Song? As River would say, "Spoilers!" We first met River Song back in series 4. (that's season 4 to us Yanks) River, played by the always delightful Alex Kingston, was a mysterious woman who clearly knew the Doctor, even though he had no idea who she was. Time travel, what can you do? It was clear that they were more than friends, as River knew the Doctor's true name. (something that one only finds out when two Time Lords love each other very much) Clearly, she and the Doctor mean something and will mean something. Her past, his future. Confused? What's this got to do with River Song? Last chance to back out, because, you know, spoilers. All right, here's the deal. Amy's daughter is named Melody Pond. However, on some alien worlds, it doesn't quite translate, particularly on worlds that have no concept of ponds. Those planets have plenty of rivers, though, meaning that Amy's child, Melody Pond, is also called River Song. River is Amy's daughter. As I said, time travel, what can you do? There's plenty more reveals out there, and I'll talk about them again down the road. When? Sorry, won't tell you that. Enough spoilers for one day.